THUNDER BAY – Canadian Rangers in two isolated Northern Ontario communities have responded to three potentially life-threatening emergencies in a 48-hour period. Rangers in Nibinamik, also known as Summer Beaver, sent out a three-member rescue team on snowmobiles after a driver used a satellite phone to report that he had gone off the winter road during a heavy nighttime snowfall and was stuck in a snow bank. He was in the vehicle with his two teenage stepdaughters and his mother. They were 65 kilometres from Nibanamik. The Rangers worked with the driver of a heavy truck used for grooming the temporary road to free the trapped vehicle, which was then able to reach Nibinamik safely. 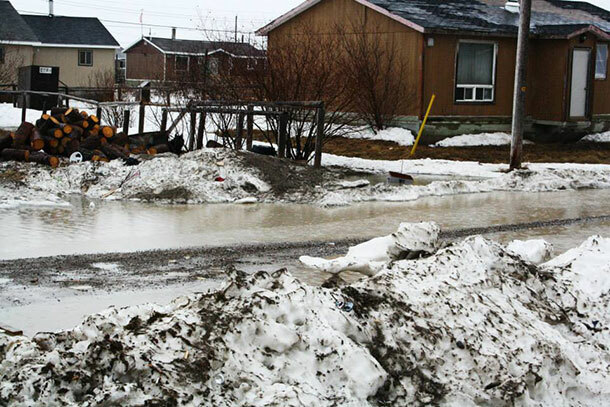 Nibinamik, a small Oji-Cree community, is about 500 kilometres north of Thunder Bay. Rangers from Nibinamik had earlier rescued a brother, 18, and his 12-year-old sister after their snowmobile was destroyed by an engine fire and they were left stranded outside the community. 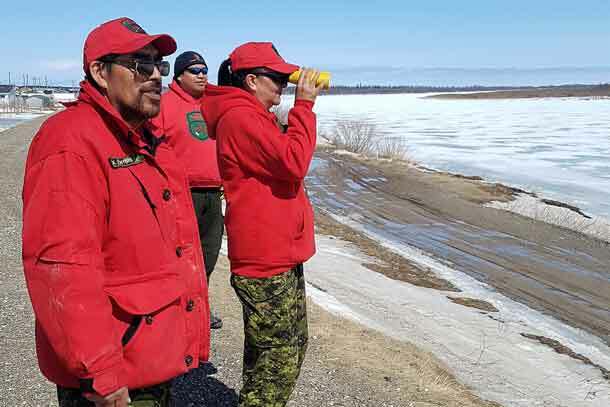 Rangers in Kashechewan, a Cree community on the James Bay coast, snowmobiled through treacherous ice conditions on the Albany River to reach a hunter whose snowmobile had broken down at his spring hunting camp, 65 kilometres west of the settlement. Their search began when the man’s wife reported he was two days overdue in returning to Kashechewan and she was concerned for his safety. 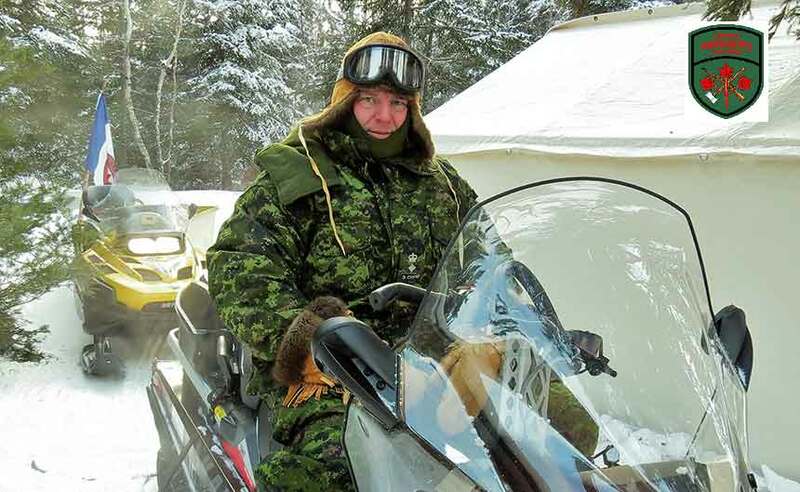 Unable to repair the hunter’s snowmobile, the Rangers transported him home. In all three emergencies, the local police were unable to respond and sought the help of the Ontario Provincial Police. The OPP asked the Canadian Army for assistance and local Rangers, who are part-time army reservists, were authorized to respond. 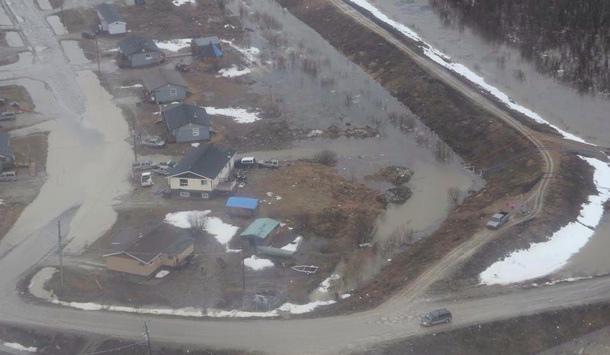 He said Rangers on the James Bay coast are prepared to assist if flooding caused by spring ice break-ups on the rivers threaten any of the communities and residents have to be evacuated as they have in the past. “The Rangers will be ready if they are needed,” he said.